The residents of Gauteng have been urged to participate in and cooperate with the fieldworkers who are conducting a transport survey. About 37 000 households have been selected to participate in this survey, which aims to assist government to plan for future investments in transport infrastructure in the province. In 2019, the World Summit on the Information Society (WSIS) forum, organised and hosted by the International Telecommunications Union (ITU) in Geneva, Switzerland, celebrated its 10th anniversary. The CSIR’s Dr Jabu Mtsweni served as one of 14 high-level track facilitators, having been nominated by the Institute of Electrical and Electronics Engineers. The event took place from 8 to 12 April 2019, under the theme “Information and Communication Technologies for achieving the Sustainable Development Goals”. This comes as the world prepares for the unprecedented transformation of the Fourth Industrial Revolution (4IR), enabled by the convergence of digital, physical and biological technologies which are disrupting existing industries and the production and consumption of goods and services. 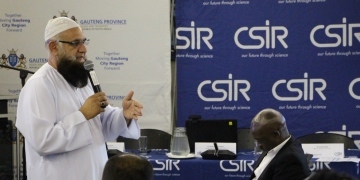 The CSIR helps enterprises in the bio innovation space with product development. In the case of Marple Skin Care, researchers have ensured that its products meet the necessary shelf-life and validation requirements to ensure a high quality product. The CSIR has developed a novel technology that protects probiotics from environmental effects during storage and from gastric fluids when ingested, to improve their health-imparting benefits. The CSIR has proven the viability of using mealworms – industrially bred on agricultural waste – as protein for poultry and fish feed. This makes it possible to establish rural enterprises that rear insects, make animal feeds and farm fish and poultry. The CSIR has developed an electronic device that monitors indoor carbon dioxide levels and generates an alarm when corrective action is needed. 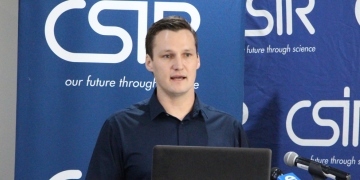 The CSIR has tested a novel new turbine wing for its South African inventor, using the organisation’s seven-metre wind tunnel. The wing, called BRAYFOIL, was assessed by researchers for its power output potential. The CSIR is making fully bio-degradable plastic materials by using plant-based polymers to replace the currently used synthetic polymers. The technology will see plastic bags that end up in landfills bio-degrading within 90 days. What if there were Ideas that worked to protect precious lives and tons of cargo? What if there were Ideas that worked to better manage wildfires and protect infrastructure?